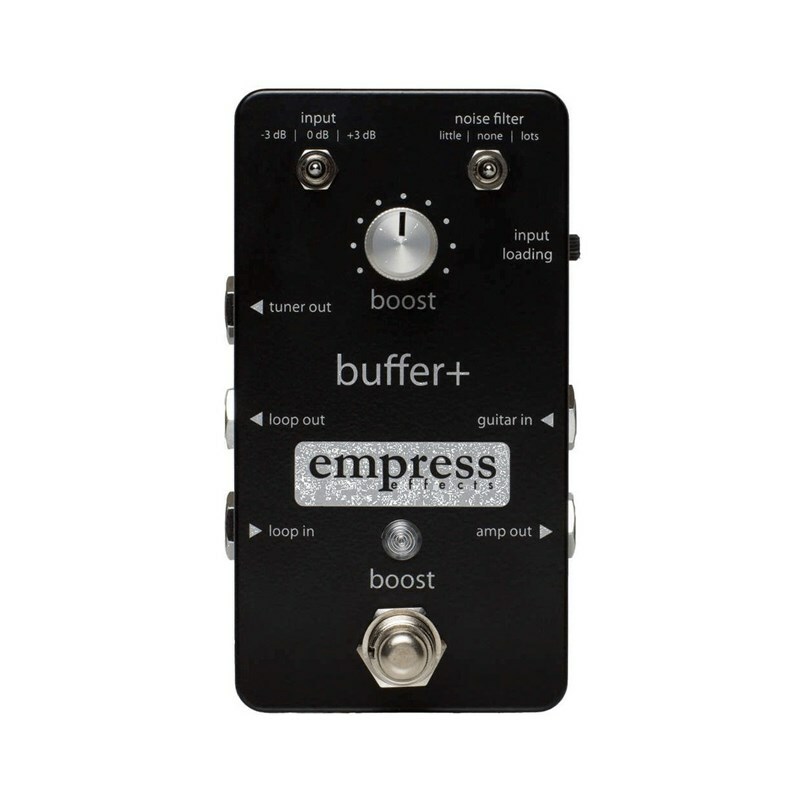 The Empress Buffer Plus is the complete I/O interface for your pedalboard and maintains the highest accuracy to your guitar's signal. The number one goal of the Buffer+ is to ensure that signal loss due to long, un-buffered cables is eliminated and your tone remains untouched. It also features tools like noise filters, input pads, a switchable clean boost and input loading to ensure your performance remains its best.